For the Boost Mobile customer on the lookout for a new Motorola smartphone, Motorola has now announced three new devices for the Boost Mobile portfolio, the Motorola Clutch +i475, the Motorola Theory and the Motorola i412 handset. 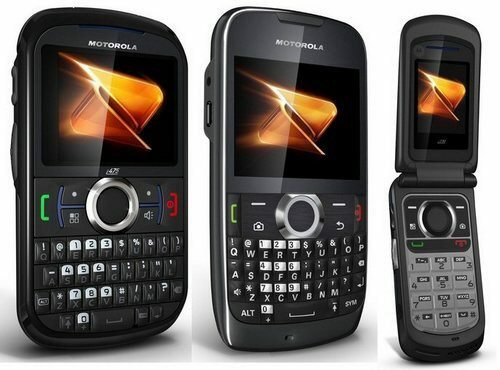 According to an article over on Phone Scoop by way of Boost Mobile, the Motorola Clutch +i475 is the follow-up to the Motorola Clutch, a QWERTY candy-bar handset with a large display, VGA camera, GPS, Bluetooth 2.0, supports Boost’s PTT services, microUSB, runs Java apps, and 3.5mm jack and commands a price tag of $99.99 and available as of right now. The Motorola Theory handset is again a QWERTY candy-bar device but for Boost’s CDMA network sporting a 2.4-inch display, 1.3 megapixel camera, GPS, Bluetooth, threaded messaging, support for Java and Brew, iTap predictive typing software, 2.5mm jack and microUSB, and commands a price tag of $79.99 and available as of the 7th of June. The last device, the Motorola i412 runs on the Boost iDEN network and is a flip phone device and offers nationwide Boost walkie-talkie, VGA camera, Bluetooth 2.0, GPS, PTT support, microUSB and 2.5mm jack and commands a price tag of $69.99 with an availability as of the 13th of June. So there are three Motorola devices becoming available on Boost Mobile, so any of our readers expecting to pick up one of them, if so feel free to let us know which one catches your eye.